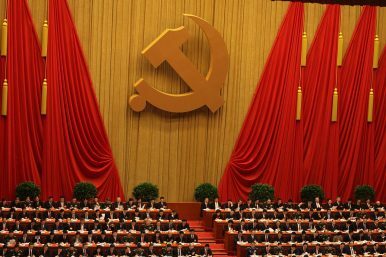 China’s more than 80 million Communist Party members have new restrictions on their online behavior. Recently, China’s ruling party, the Communist Party of China (CPC), issued a strict new rule to regulate party members’ online behavior. According to China Daily, the number of CPC members exceeded 80 million in 2011, which means that there is approximately one party member out of every 16 Chinese people. From the CPC’s perspective, it has become a necessity to strictly regulate its 80 million party members’ behaviors online, as cybersecurity has been raised to the level of national security and the online opinion market is regarded as a battlefield by Chinese authorities. The new cyber-rule was jointly issued by three CPC departments — the CPC Central Committee Propaganda Department, the CPC Central Organization Department (essentially the Party’s human resources department) and the Central Network Office — in June and widely circulated recently. Browsing or visiting illegal or reactionary websites. To make the matter worse, the rule even demands that all party member “fulfill the obligation to report.” It said that once any party member see any information online that is illegal or against any regulation, they should immediately report it to related departments and actively provide sources. With a total of more than 80 million party members, it’s highly doubtful whether the rule could really be put into action. However, it is undoubtedly a new form of deterrence to discourage people from exercising free speech in China, against the background of an overall clampdown on the internet.